The first few months of school always pose challenges for some students, whether it be new classes or adjusting to different changes. For seniors, as they are posed with the challenge of applying for schools and determining their futures, the start of the school can be daunting. Some choose to to send their first attempts to apply for certain schools in what is called early decision, and requires effort for students to reach the deadlines required of them. Early decision is an opportunity given to students that enables them to apply for colleges in the fall. This opportunity may create unnecessary stress and urgency because students are being required to finish an application at the beginning of a school year with less time to fully prepare. Early action provides numerous different advantages at the cost of this early work that can be crucial in helping students getting into the school they wish to get into. According to Cox, the two most prominent dates for early action deadlines are Nov. 1 and October 15. Many students are aware of the strong advantages applying for early decision and put in effort to be able to submit applications before those dates. However, they also realize the struggle it poses as they balance out their time spent on important application and their work required in school. Teachers are also a big part of the process, and the same struggles to find time can also be said for teachers as well. 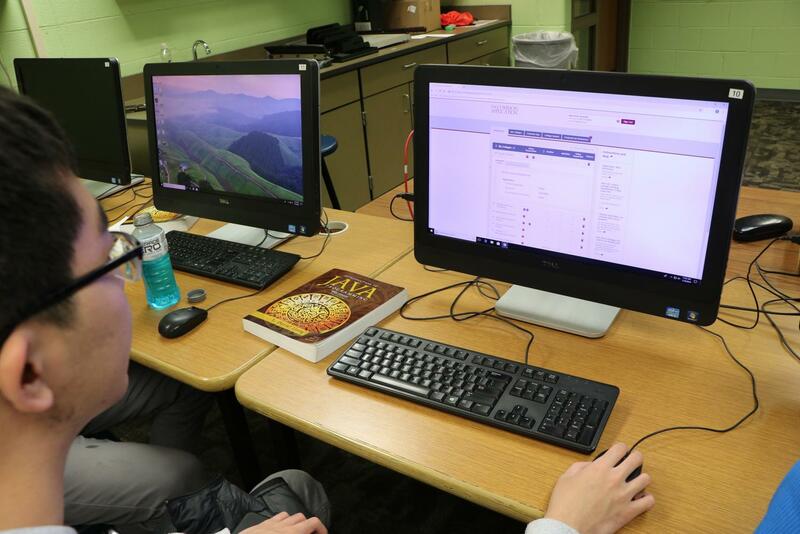 With different requests from students to get help in the form of recommendations or guidance in polishing essays, teachers also have a need to find time to help these students out and still prepare their classes. Mustaque was able to submit a number of early action applications before the deadlines, and he said that it took him much effort to get them in spending extra hours after school creating and polishing his applications and even working on them at home. However, he says that the best way to ensure finishing applications is early preparation.